Keeping cool - it's not a problem with the practical ice bucket by Bodum. 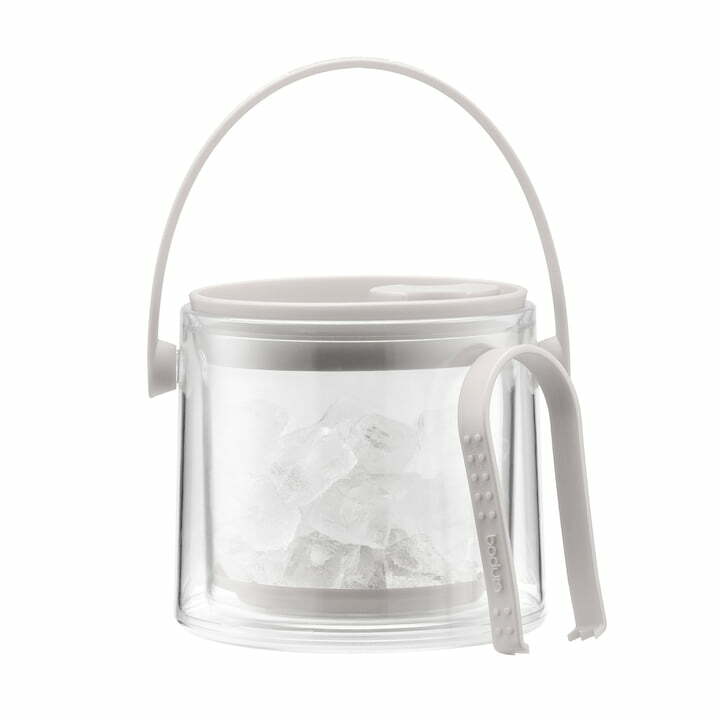 Thanks to the double-walled design, the ice bucket is insulated in the best possible way. This means that ice cubes can stay cool for a significantly long time. The ice cooler is made extremely flexible with its practical carrying handle. In the summer months, the cool bar accessories can also be used in the garden to cool refreshing ice cubes there - at cosy barbeques and garden parties. For the rest of the year, the ice bucket provides its services in the bar or kitchen. There are practical tongs for serving the ice cubes attached to the lid of the bucket, making them always ready for use. The ice cube bucket is different colours - a cool design from Bodum.